This year for Halloween I decided to do another theme with the cute kids. 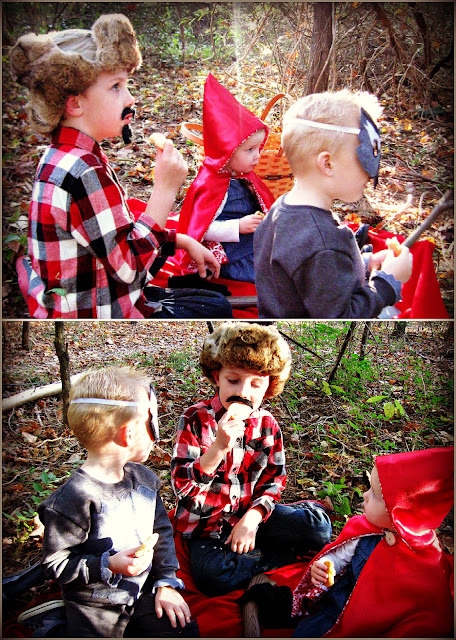 I ran the idea of Red Riding Hood, Wolf, and Woodsman past them, and they all agreed it would be really fun. I made the cloak using my own drafted pattern. 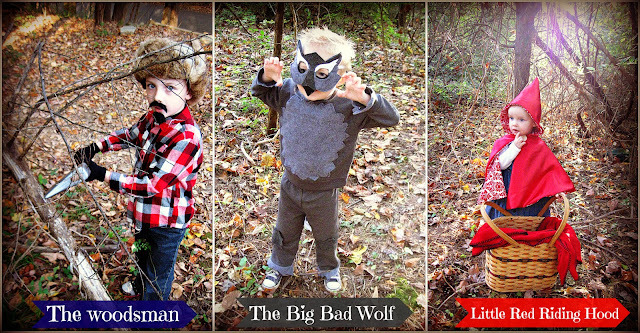 For my Big Bad Wolf I was having a little trouble deciding which direction to take, when I found this adorable mask/tail set on Etsy by Little Bit Design Shop. I loved it so much, I quickly decided to use her adorable mask and tail as inspiration for my own little wolfie. (I got her permission). I love how it turned out. 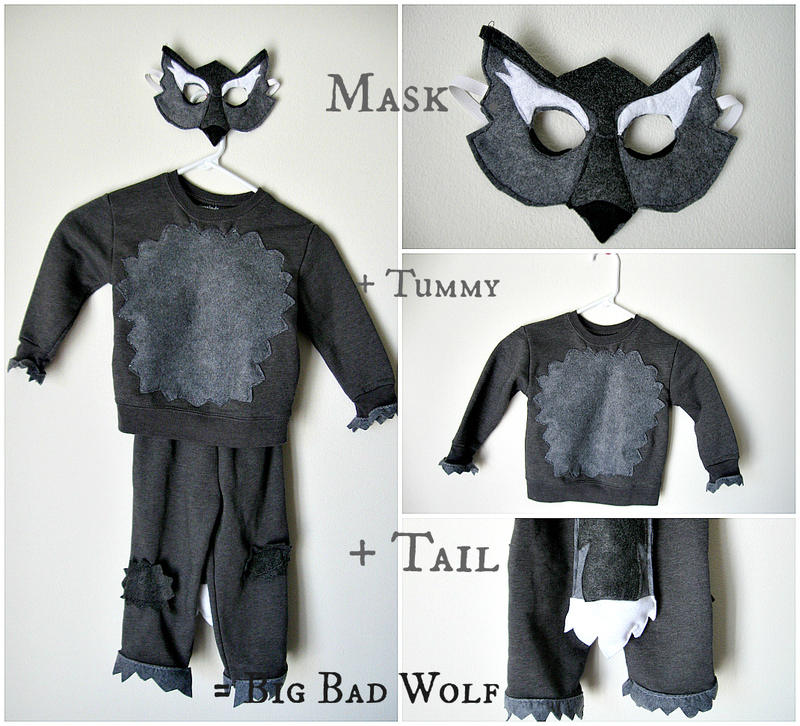 Click here for the Big Bad Wolf Tutorial. I really wanted to sew something for my cute woodsman, but it just seemed pretty basic with the flannel shirt ($8- Walmart), Axe ($5- Halloween store) and everything else we already had. At one point I was planning on sewing him a hat, but them I remembered this really cool one my husband already had. Oh...and the facial hair was something I had bought years ago in the dollar section of Target. Okay, on to the cast of characters. So what happened to all those cookies in the basket? Seriously awesome! Love the outfits and pictures and speech bubbles/captions. That is such a cute idea, you are so creative! Nice job! 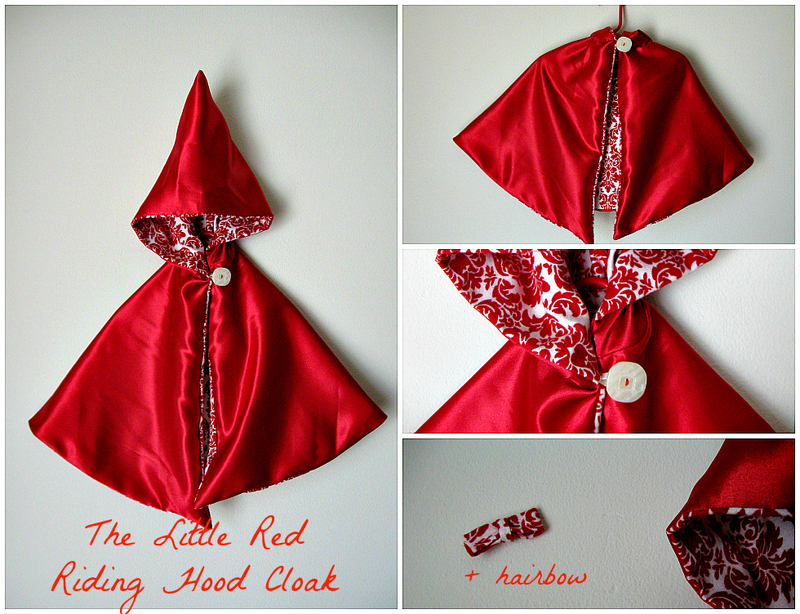 OMG - I love the Little Red Riding Hood cape! You are so talented! I am hosting a Halloween Costume Contest at my blog and would love for you to stop by and enter! Over $125 in prizes! these turned out perfect :) I am dying! Cutest costumes, pics, and kids..ever! Nice post! Cant wait for next week to see the tutorial. Yay! 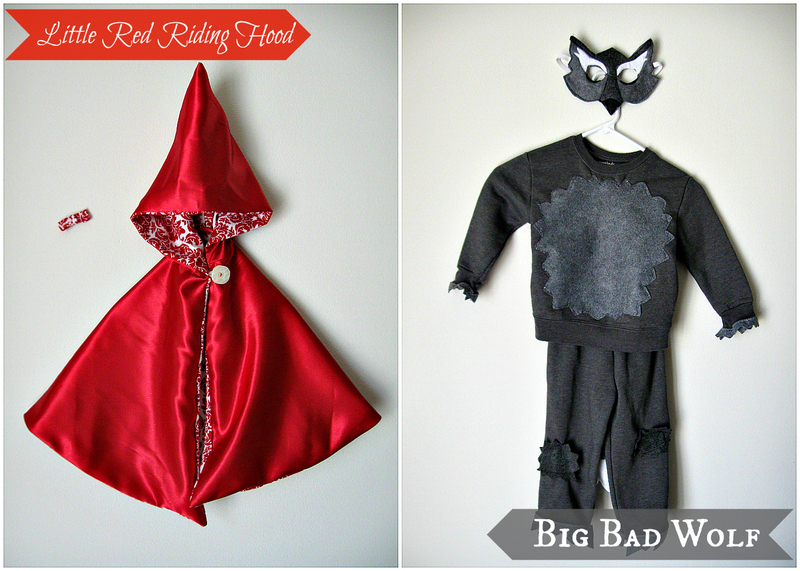 Love the red riding hood. This is just way too cute! I'm trying to make my daughter a Little Red Riding Hood costume too, but I don't have the skills you do! I'm planning to feature this next week! In addition to party features, I'm going to do another post for Halloween costume features from the party. LOVE yours! Thanks for linking up to Throwback Thursday :) I hope to see you again this week! Those are so amazingly cute! LOVE the combo!! 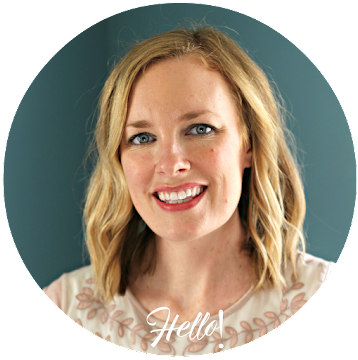 I just linked up to Project Run and Play and saw your link... love it! Oh, and I'm now following by e-mail.